I agree with an earlier poster that Chiastic Slide and Succour are quite easily the Warp picks of the 90s (although personally I also adore Amber). Edited by Roo, 25 February 2019 - 07:03 PM. Robert Fripp + The Orb, I only found this one recently. Space is definitely worth a revisit, has anyone heard this bootleg version? Jemapur - Evacuation. It had a rather limitted cd/dvd release, with some cool music videos. But as an album I rate it among my all time favorites. A decade later and I listen to it as much if not more than when it first came out. Edited by Marked x 0ne, 26 February 2019 - 12:00 PM. 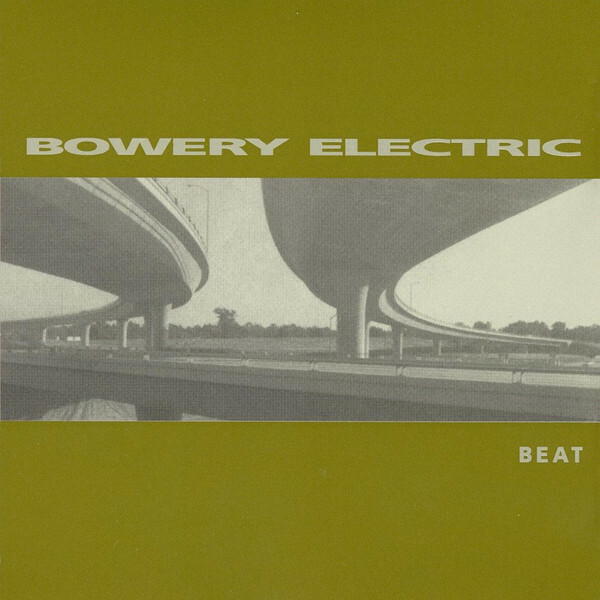 Bowery Electric - Beat: Early Kranky release from 96. Rebought a copy of this album over the summer and have revisited it quite a bit since, really holds up against a lot of more modern ambient dubs and minimalism. Lush layers, and just enough rhythm and pulse to keep it moving forward. Excellent driving or night listening, or even better both. Yeah all this except I think Aphex hits melodic spots Aleksi can't & vice versa. Succour aged much better than Quique. When Face Was Face is a gem and it's not the only one on there. Massive Attack did not age well. I tried listening to Mezzanine a few times recently and it now sounds both glib, humorless and boring. It's like the Batman of pop music. I understand why I liked it as a teenager but it completely falls on its face for me now. When I first became acquainted with Succour, I was definitely all about When Face Was Face, Fracture and Ruby-Ha. But after 75 listens or so over the years, Cut feels the clear standout for mine. I agree, Quique is arguably their most dated release, the recent S/T is more important to me. Time to Find Me & Starethrough was where I felt their future lay, and thankfully with Succour they embraced it fully. For me, that happens with Blue Lines, a bonafide time capsule which like The Bends started to age hard about a decade back. Whereas I still get a lot of enjoyment from Protection and Mezzanine, I think they still have their place. I actually felt like Ruby-Ha was the weakest on the album but it fits great into the flow. Fracture and Cut are also excellent. Basically for me this album is all about mid-to-late winter to me, crunching snow, soggy overcast skies, dark empty streets. Extract still makes me want to get a guitar again just to record loops. The alternate version of Utreat is solid on its own and it makes the more skeletal, final version on CH-VOX that much more grim. I agree about the more recent S/T as well, it's maybe a bit bland to just focus on by itself, but it's loose and lively in a way that their 90s stuff never quite was. And there's a couple gorgeous standout tracks on it as well. Starethrough! Yes, every track on that except maybe the last one. Especially Spangle, it's too pretty for this world. Yeah I get that, both Succour and S/T have that more interlude-ish 5th track (Gatha/Gzaug) heading into the perkier, more gazey 6th tracks of Ruby Ha & Rip-run, it works well. Exactly the same here, Succour certainly ain't sunlight, it gets most mileage for me in overcast, chillier, darker, vacated climes. On S/T, I've found myself most impressed by Making of late. On release the scant attention paid to that album was frustrating, but like all Seefeel, you get fantastic mileage out of it. Yeah the first three tracks on Starethrough are just mint. 1994 was a rad year for EPs, things like Jar of Flies, My Iron Lung, Anti, etc. just leap to mind and attempt to contend with the album big boys. Edited by Roo, 27 February 2019 - 05:49 PM. I feel Third Eye Foundation doesn't get the love it deserves. You Guys Kill Me is still a favourite, as is Ghost. And Mr Oizo' Analog Worms Attack is probably the album that throughout the years I have listened to more than any other, still sounds so fresh and filthy. Well said. I myself didn't give that enough attention. When I want to hear it I almost always have Airless in mind. Time to put more miles on it. Re: Bowery Electric, you can't go wrong with this Kompilation that they appear on. Cheers this thread, put me on a lot of stuff I need to listen/re-listen to.